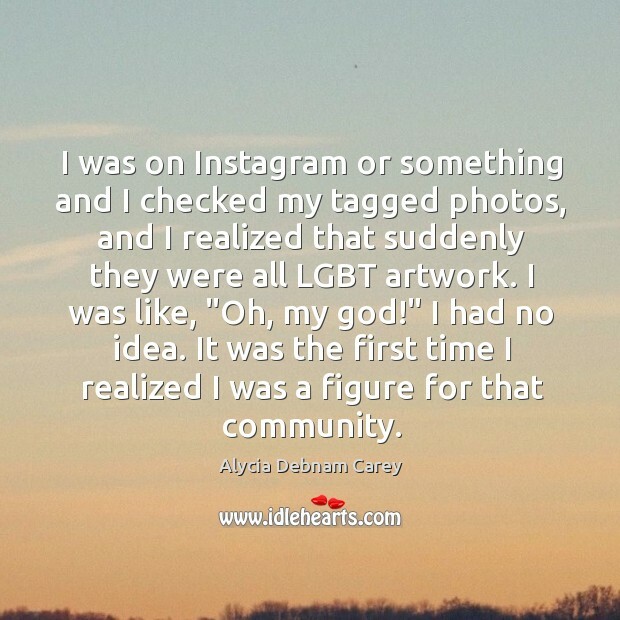 Enjoy the best inspirational, motivational, positive, funny and famous quotes by Alycia Debnam Carey. Use words and picture quotations to push forward and inspire you keep going in life! 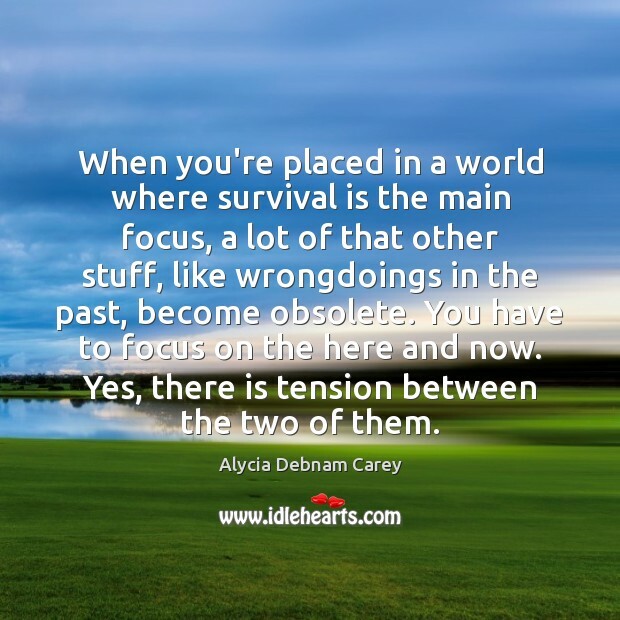 When you're placed in a world where survival is the main focus, a lot of that other stuff, like wrongdoings in the past, become obsolete. You have to focus on the here and now. Yes, there is tension between the two of them. I think the toughest thing for me to figure out, as an actor, was how to translate all those layers that are in there and that history that the writers have done such a great job at forming. I often think about how, if we were all placed in an apocalyptic situation, you'd realize quickly how stupid, petty things just don't matter anymore. Who you love is who you love, and it doesn't matter. 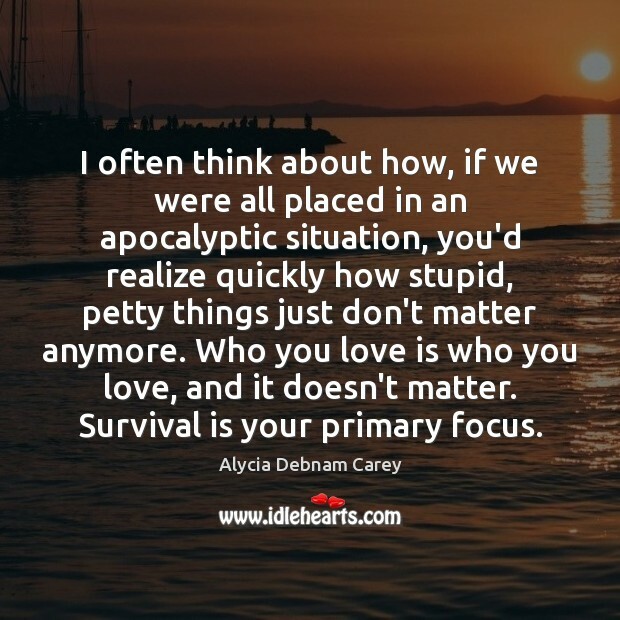 Survival is your primary focus. I was on Instagram or something and I checked my tagged photos, and I realized that suddenly they were all LGBT artwork. I was like, "Oh, my god!" I had no idea. It was the first time I realized I was a figure for that community.